Please call for an appointment or to tour our facilities. 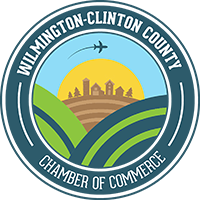 Wilmington Nursing and Rehabilitation Center, Clinton County's premier center for skilled nursing and rehabilitation, has a long tradition of providing our residents and patients with the highest quality health care. We offer a wide variety of services designed to meet the needs of individuals seeking short-term rehabilitation or long-term care. WE are Wilmington - 4 STAR QUALITY in overall facility ranking, 5 STAR QUALITY in nursing quaility! Our superior therapy department offers Physical, Occupational, and Speech therapies and is staffed with full time therapists who are highly skilled and experienced in helping individuals reach their highest level of functioning. Our dedicated and compassionate team of nurses and nursing assistants excels in providing personalized, quality care. Wilmington Nursing and Care Center's reputation is one of caring for our residents as if they are our own family. Saber Healthcare Group is excited to offer a Pre-registration program that allows you to plan for your rehabilitation prior to your surgery. Our specialized programs are designed to enhance the lives of our patients. To help make the transition from the hospital to rehabilitation easier, we are encouraging anyone having an elective surgery to call or make a reservation.